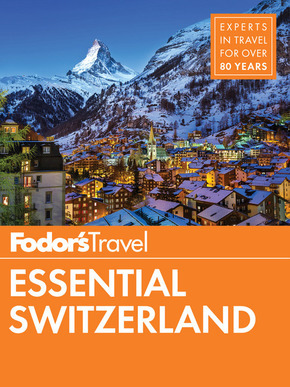 Fodor's continues its excellent tradition in travel guides with a journey into Switzerland and its rich heritage and culture. Switzerland, Europe's mountain playground, is a classic tourist draw. Fodor's Switzerland is the perfect guide for travelers seeking to ascend the slopes of the Alps and feel on top of the world. When they come down from the mountains, they find thriving, cosmopolitan cities steeped in history and culture. This travel guide includes: Dozens of full-color maps, hundreds of hotel and restaurant recommendations, with Fodor's Choice designating our top picks, multiple itineraries to explore the top attractions and what's off the beaten path. -UP-TO-DATE COVERAGE: Fodor's Switzerland covers new restaurants and hotels around the country with a special focus on Zurich, and new scenic train routes. Extended features on Swiss food and Christmas markets, along with new listings for ski resorts and lakes, help travelers make the most of their time in the country. -ILLUSTRATED FEATURES: "Scenic Train Rides and Drives" helps travelers choose the best trip through the mountainous countryside, while "Wintertime in the Alps" explores the wide range of winter sports options in the birthplace of skiing. Features on Swiss wineries and the Bernese Alps guide travels to the best lakeside vineyards and mountaintop views. Shorter spotlight features highlight the country's top lakes and culinary flavors. -INDISPENSABLE TRIP PLANNING TOOLS: Each chapter in the guide has a planning section to help travelers plan their time and get around easily. Train travel times provide an overview of how long it takes to get from point to point in Switzerland. Neighborhood comparison charts for Zurich and Geneva help travelers choose the best places to stay and eat for every budget and taste. -DISCERNING RECOMMENDATIONS: Fodor's Switzerland offers savvy advice and recommendations from expert and local writers to help travelers make the most of their time. Fodor's Choice designates our best picks, from hotels to nightlife. -COVERS: Zurich, Geneva, Bern, Basel, the Berner Oberland, Lausanne, Fribourg, Ticino,Liechtenstein, Luzern, Zermatt, and more.